There's nothing more comforting on a cold night than a warm, creamy bowl of soup. 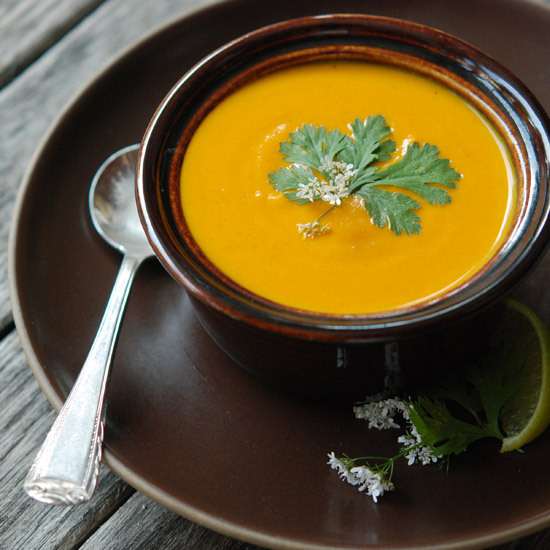 From carrot to cauliflower, here are five amazing, luscious "cream of" soups to make this winter. Carrots and curry were born for each other. Wild mushroom toasts are a lovely foil for this soup's silkiness. This luxuriously creamy soup includes tender whole shrimp and tangy diced apple. This excellent vegetarian soup comes together in just 30 minutes. This silky-smooth pureed soup is made with tons of leek greens for lots of gentle leek flavor.